Hi, welcome to use Sonoff SC! Sonoff SC detects current temperature, humidity, light intensity, air quality (particulate) and sound levels (noise pollution), and directly send real-time data to iOS/Android APP EWeLink. It supports micro USB 5V power supply. Sonoff SC supports 5V USB power input. Simply plug the micro USB inside the USB port. 1. Enter WiFi pairing state: Press the black button for 7 seconds until the LED blinks 3 times and on repeatedly. 2. For Android users, please select the 1st icon, click next. For iOS users, you will see two pairing method icons to select, please select the icon accordingly, then click next. 3.1 If no password, keep it blank. 4. 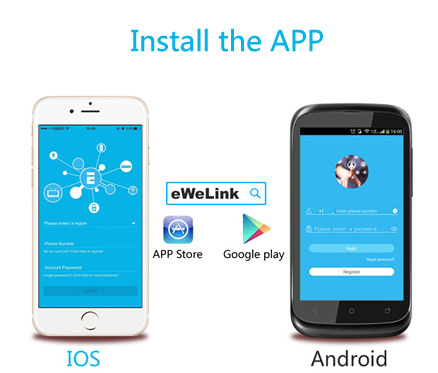 Next, the device will be registered by eWelink and add it to your account，it takes 1-3 minutes. Once it is being added, the light will keep on. 6.Maybe the device is “Offline” on eWeLink, for the device needs 1 minute to connect to your router and server. When the green LED on, the device is “Online”, if eWeLink shows still “Offline”, please close eWeLink and re-open. 4.1 Display the real-time temperature, humidity, light intensity, air quality (particulate) and sound levels. Sonoff SC supports to set up all kinds of smart scenes to trigger on/off other devices. You can set one or more conditions, when temperature, humidity, light, noise, air quality lower or larger than the preset level, it will trigger to turn on/off the triggered device(such as Sonoff). Go to the device list, tap on the up upper right corner, then tap on “Scene”. Click “+” to add a scene. Input a name for the new scene, and add trigger condition. Select the Sonoff SC and save. Next, enter the triggered device’s action: ON or OFF, save it. Last, save your scene. Answers: That’s because of your phone’s cache. Please close the WLAN of your phone then open it after a minute. At the same time, please restart your device. Answers: Currently this product does not support LAN or cannot connect to the hotspot. All devices must be connected to the router, thus they can communicate with the Internet via the cloud server.